Name the group of nine European islands merely four-and-a-half hours from Boston Logan Airport. Stumped? You are not alone. Most of America has never heard of the Azores, couldn’t locate them on a map, and wouldn’t know what part of Europe claims them as countrymen. Where are the Azores anyway? For the few who do know of the Atlantic eden 900 miles west of Portugal, this zion is a cherished gift and a dichotomous burden. On one hand, the beauty and virginal nature of the islands are a discovery that one wants to shout from the rooftops. On the other, these quiet and pristine islands seem to be one of the safe places to visit in Europe, and unsullied by tourists. Both are a difficult feat in this age of technology and accessibility. With a landscape similar to Hawaii, it is hard to imagine that the Azores will remain an unknown paradise, especially for travelers from the East coast. Take advantage of this gem while it is still under the radar. Having doubts? 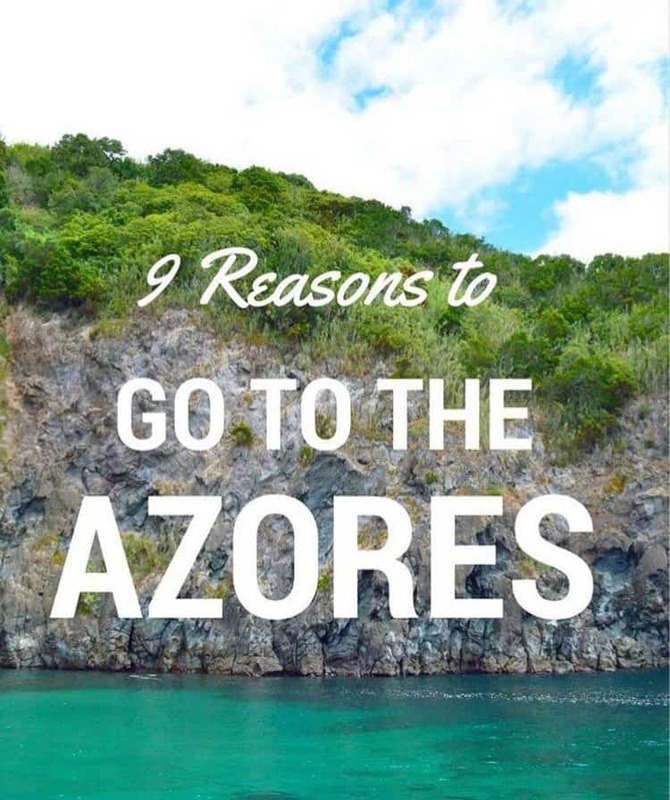 Here are nine reasons why a trip to the Azores is a great option for any traveler, and why you should book your trip today. 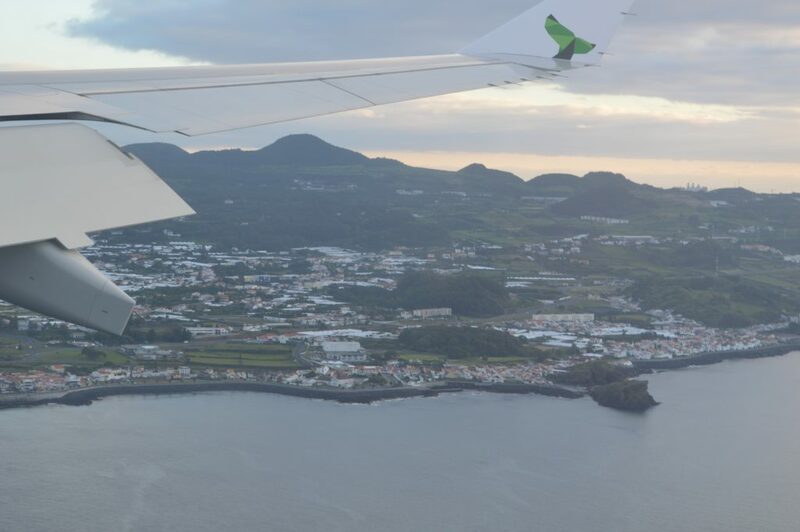 As of March 2016, a route available through Azores Airlines makes a trip to the islands of São Miguel and Terceira easier than ever. At just under four-and-a-half hours, direct flights depart four days a week. A trip to this island Shangri-La is a great idea for an extended weekend from New England, and even Midwesterners with a connection through Boston (Logan) can save one to two hours of travel time versus flying to one of the islands of Hawaii. With a spacious Airbus 330, these direct flights depart every Tuesday, Friday, and Saturday night. 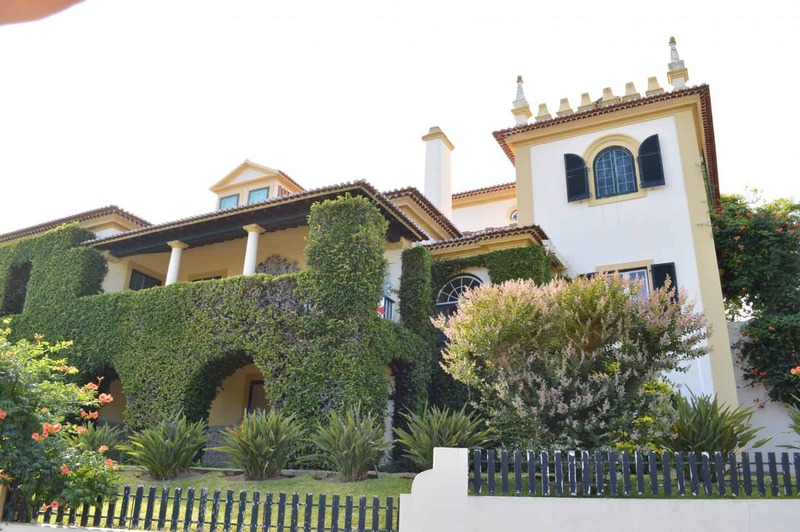 Prefer to stop over after a trip to mainland Portugal? Flights to Lisbon depart daily and routes from Lisbon to São Miguel are also more frequent. Islands are expensive. They are expensive to get to, expensive to live on, and generally expensive to visit. Without any direct access to a continent, even the most basic supplies are imported and are priced accordingly. Despite their remote location and a currency of the historically strong Euro, the Azores are gleefully affordable. Four star hotel rooms run around 110€/night and a three course meal with two alcoholic beverages and after dinner coffee totals up to a whopping 70€-80€ for two people. Two liter bottles of water run about 0.70€ and the average hamburger and fries costs 4€. Looking for something stronger? A bottle of wine is difficult to find over 12€. Visit one of the hot spring pools. They are so plentiful, no one is particularly crowded. You may ask yourself, what continent is the Azores in? Technically, it’s on the European continental plate, but it is not attached to Europe. Perhaps it is because of the limited availability of flights. 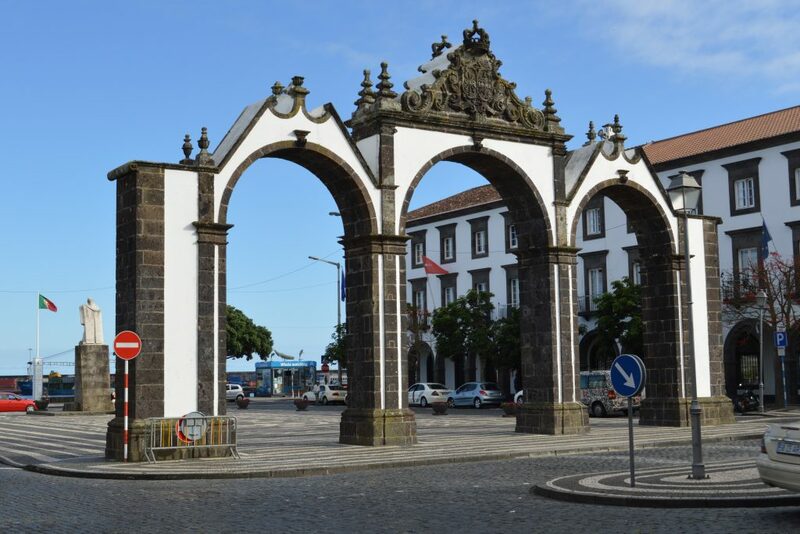 but the presence of crowds and tourists on the most populous island of São Miguel is minimal. Across the nine islands, the Azores boasts a permanent population of just shy of 225,000 people, with 137,000 living on São Miguel. 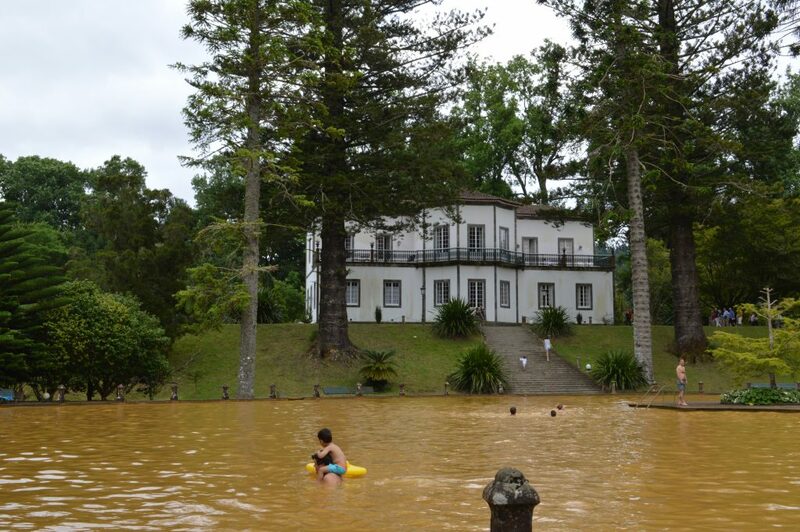 With limited people and visitors, Azores safety is very good. 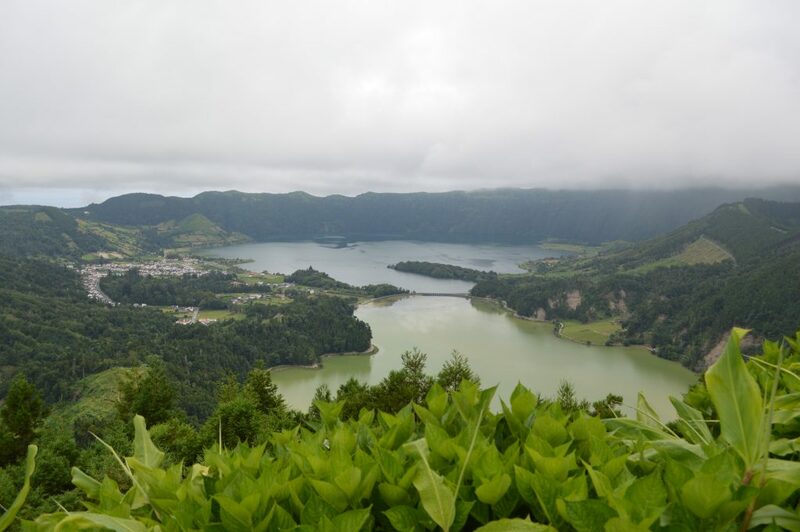 Even the most frequented sites such as the Sete Cidades, Lagoa do Fogo, and Porto Formoso Tea Plantations might see a thousand people a day, and only when the cruise ships come to port. Standing in a line at an attraction is infrequent and if it occurs, will move quickly. Anyone who has been to Honolulu during high season knows that this level of quiet and unhurried meandering is hard to find and remarkably welcome. Whether you are a sun-worshiping beach dweller or an extreme sport hiker, activities abound in the Azores. 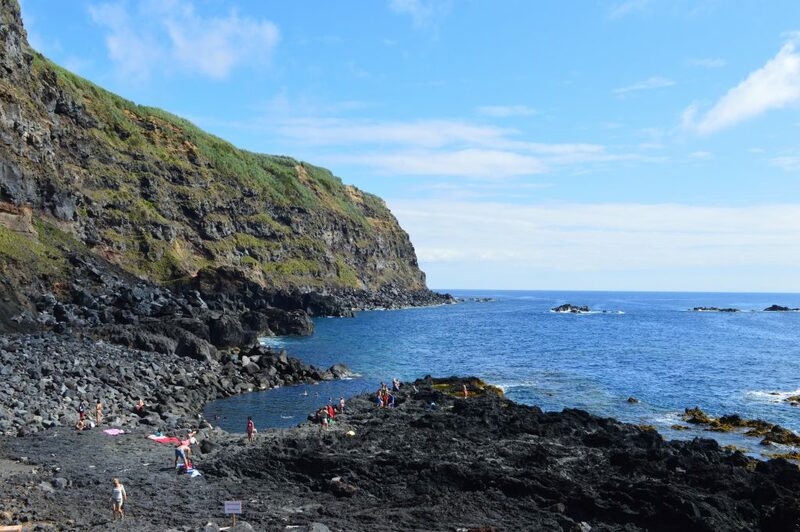 Natural pools built into volcanic rock along the shoreline are popular and numerous. Many pools contain jets of hot water due to geothermal energy from the Earth’s crust. For the most enthusiastic adrenaline junkie, canyoning is also popular on the island, while the abundance of botanical gardens and greenery provides ease and calm for those looking for a quieter form of travel. More traditional forms of adventure travel such as zip-lining, hang gliding, sea kayaking, and mountain biking are all activities that are easy to arrange on São Miguel. The beauty of the Azores is unmatched. It is also a very safe place to visit in Europe! The Azores sit on a latitude of the Atlantic Ocean that falls along the path of the gulf stream. This lends itself to native whale and dolphin populations. While whales are typically migratory animals, there are known pods of Sperm whales that live and stay within the Azores. Bottlenose and common dolphins also call the Azores a permanent home. Sightings are plentiful as both types of animals are easily found by marine animal spotters who make a living by radioing animal sightings to local tour operators. Tour companies have multiple offerings daily including full- and half-day outings with focuses ranging from shoreline yacht cruising to close encounter speed boating. A safe place to visit in Europe is the Azores, an archipelago approximately 900 miles west of Lisbon. The volcanic activity throughout the islands make for some of the most unique and exhilarating aspects of the Azores. While pockets of hot water flows are often found in the shoreline volcanic pools, the inland hot springs provide wellness and respite to the technology obsessed American. 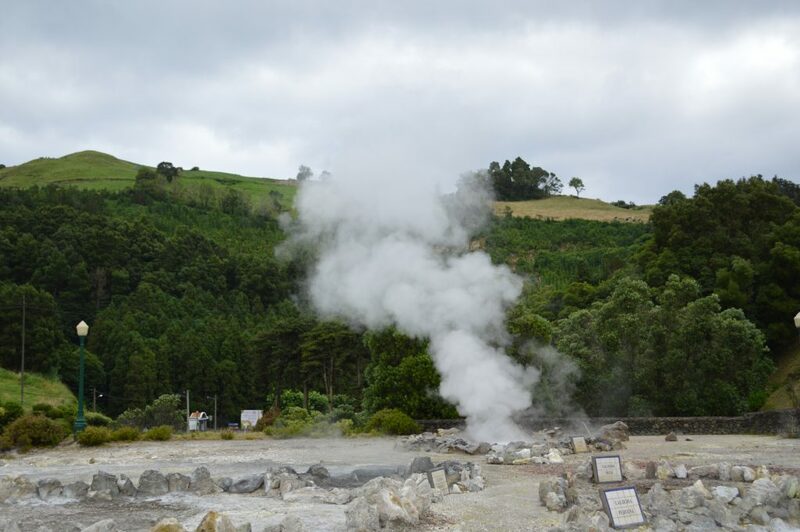 When I hear someone ask, “is the Azores safe to visit,” the only dangerous parts are those too close to the boiling hot springs. These pools vary in size, minerality, and temperature. A trip to the natural parks is an accessible adventure even for the most timid traveler. Mineral spring fountains found throughout the towns provide an experience best described as mineral water taps directly from the source. These taps are easily found throughout towns and differ in temperature, effervescence, and taste. Don’t forget to bring a cup! How far are the Azores from Portugal? This gate was one of the markers welcoming seafarers to the Portuguese islands in the 17th century, just 1400 km west of Lisbon. Trash is hard to manage on an island. With limited availability of landfills, clunker cars often pile up in yards, and bags of garbage may fill up quickly. This reality is encountered frequently on island vacations; it seems as if the roads to resorts are lined with poverty and stray animals. This is not the case in the Azores. The cleanliness of the island is so efficient that even on a Friday night as the sun is setting and a band serenades the people of the main square, there are waste management employees hard at work. There are so many safety concerns to be aware of in today’s world. In America, there are daily shootings and increasingly prevalent protests that sometimes turn violent. In Europe, there are more terrorism attacks at places popular with tourists and Christians. A question many people ask is are the Azores safe? There was a time when no one would have to wonder, “is Portugal safe from terrorism? Is Portugal safe to visit?” Those were different days. 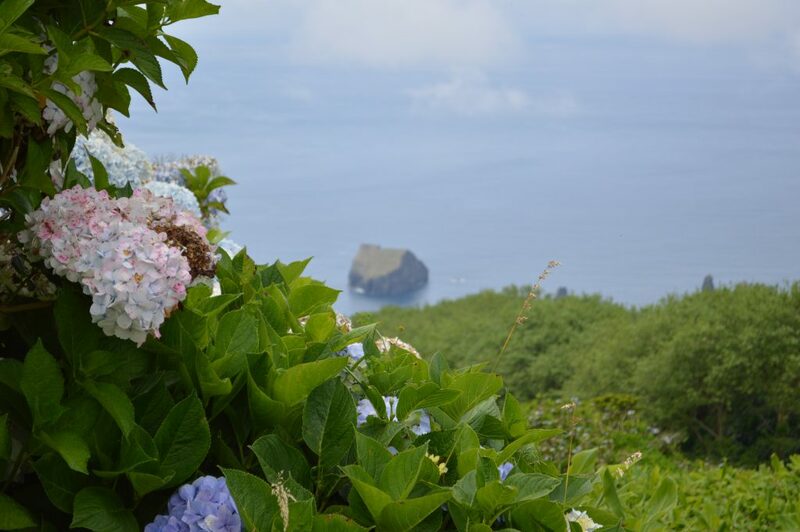 Nonetheless, The Azores is one of the safest places to travel in Europe. The Azorean people are aware of the evil of the world, but they don’t have a prevalent fear of terrorism. At 900 miles west of mainland Europe, distance insulates the Azores from the terrorism and migrant crises of the continent. Aside from large scale fears of attacks, crime does exist but minimally. Leave your money belt at home. The average daily temperature in the Azores is 63 degrees Fahrenheit in January and 72 degrees Fahrenheit in July. While some people may like a more intense heat, for those traveling from the Midwest or Northeastern parts of the U.S., these temperatures are ideal. As is often the case with mountainous islands, one side may be rainy while the other is bathed in sunshine. Because of the high altitudes of the mountains, most rain clouds that come in from the North or the South are unable to pass over the high ridges. Trying to guess the weather in a particular part of an island? The Azores travel bureau provides a live Azores webcam feed for your convenience. Go go gadget Azores webcam! Where are the Azores? Where to Stay in the Azores? What to do in the Azores? Ideal for the cost conscious traveler, the thrill-seeker, or the multi-generational family, the tiny Azores have it all. A safe place to visit in Europe, they deliver an astounding range of activities and vegetation within their small boundaries. Iron rich hot springs, lush green pastures, and natural swimming pools carved out of volcanic rock are all accessible in just one day, freeing up the rest of your time to dig deeper into this hidden wonder of the Atlantic Ocean. Build a excellent connection along with your instructor. If you play baseball, the main expert body in your life is the mentor. Become familiar with him, and take notice of the advice that he offers you. Inquire and also be prepared to try out issues his way, and you’re going to be a much better player because of it.